Christians have worshipped on the site of St Mary’s Church since the 9th Century and, while the Christian presence is 12% in the Parish, there is still a vibrant group of Christians that worship in the Church building, rebuilt in 1875. 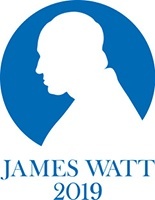 We are raising £3 million for a five-phase refurbishment (1-3 to be completed by the 200th anniversary of the death of James Watt on the 25th August 2019). The exterior, the tower, the bell chamber and the clock (£150,000). This is now completed with the tower repointed, the stone work renovated, the ringing chamber reopened and the clock faces refurbished. The refurbishment of the Church Hall with new windows, toilets and a professional kitchen (£150,000) has also been completed and the hall is now a key facility used by both the Church and the local community. The reordering of the Nave of the Church. This project for £1.5 million will give a new air sourced heat-pump fed under-floor heating system, a nave altar platform with the pulpit repositioned on the internal west face of the tower where it was until the 19th century, the vestry repositioned to its 15th century site under the bell tower, custom designed moveable pews, three new toilets in addition to the existing disabled toilets, a Parish Office, a store room and a Refectory for refreshments for congregations, concerts and other visitors to the Church. Alongside this we shall develop the South Aisle as an area to celebrate the long history of the Church and to help people interpret the heritage and memorials, principally those to Matthew Boulton, James Watt and William Murdoch, the architects of the Industrial Revolution. The rebuilding of the organ. The organ pipework is mainly dated from 1906. Quotes for this stage, that will follow the reordering of the nave, are around £500,000. The reclamation of the Churchyard. This is the largest Churchyard in Birmingham and, amongst those buried there, are some of the key figures and personalities in the history of Birmingham, some of who had a much wider influence. The Churchyard closed in 1935 and became the responsibility of Birmingham City Council, but it has largely been allowed to return to nature as the BCC do not have the resources to maintain it. Along with the necessary ground work, we look to establish paths (principally along the iconic avenues of trees), install signage to the principal graves and features, digitalise the records, engage an historian to work on the history of the Church and Churchyard and create a sustainable programme of maintenance. 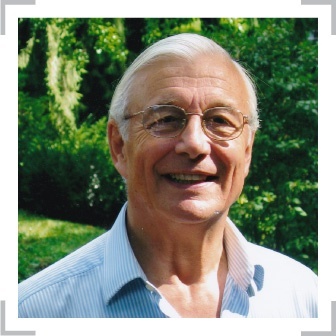 For further details or to make a donation, please contact The Revd Dr Bob Stephen, Rector of Handsworth, by email at rector@handsworthstmary.org or call 0121 554 3407.
is our Heritage Ambassador and is assisting us with fundraising.